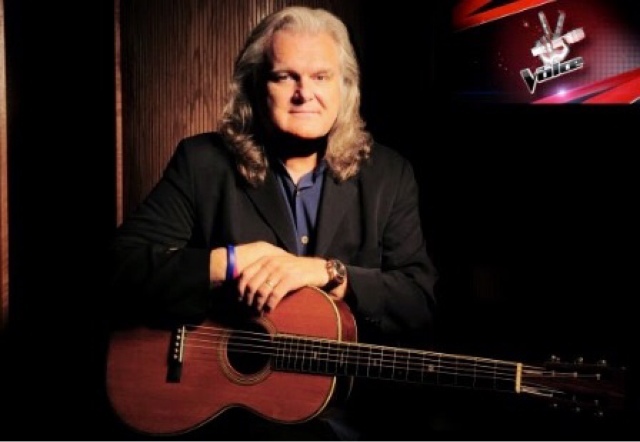 Nashville, Tenn. (December 14, 2015) - Country and bluegrass legend Ricky Skaggs will be featured on NBC's The Voice vocal competition, singing with one of the show's finalists, Emily Ann Roberts. Skaggs' duet with Roberts will air on Tuesday night,December 15 at 8 pm ET / 7 pm CT.
Roberts, hailing from Knoxville, Tenn., is one of Blake Shelton's two remaining team members and will be breaking out some country hits. She will be joined by Skaggs to sing his #1 country song, "Country Boy." The Voice features the strongest vocalists from across the country who are invited to compete in this blockbuster vocal competition show's ninth season. Internationally acclaimed artist Gwen Stefani returns to join megastars Pharrell Williams, Adam Levine and Blake Shelton as celebrity musician coaches, while Carson Dalycontinues to serve as host. After many rounds of singing and voting, in the end, one contestant is named The Voiceand receives the grand prize of a recording contract.